The portable self-storage provider held a ribbon-cutting ceremony with a few extra treats at its new headquarters in Tilton. 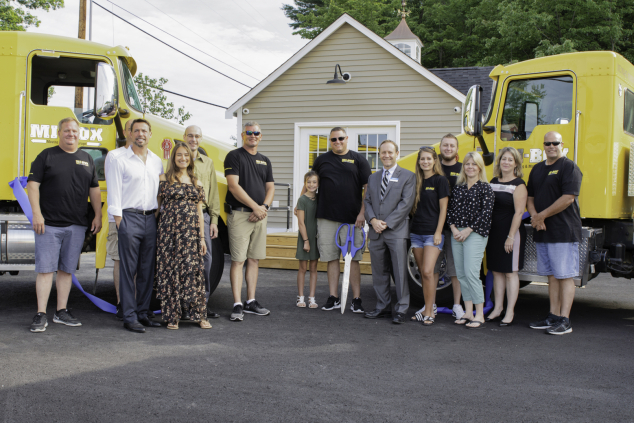 Tilton, NH – August 8 – Local self-storage operator MI-BOX of Central New Hampshire held a ribbon-cutting ceremony this morning, with the assistance of the Lakes Region Chamber of Commerce, to celebrate the Grand Opening of its new Tilton, NH headquarters. Located at 405 Laconia Road, the new facility will host new company office space as well as provide a storage location for customers who would rather have their boxes stored rather than kept at their home or business. 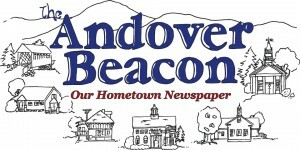 Visitors were treated to free ice cream and cake during the midday party between 11:00 AM – 1:00 PM provided by Ben and Jerry’s in Meredith and Ooo La La Creative Cakes in Laconia. In addition, four tickets to the Boston Bruins -vs- Edmonton Oilers NHL hockey game on October 11 were given away to members of the community through a free raffle. Winners were Robert Cormier, Chief of Police, Tilton Police Department and Chad Boucher, Owner, Boucher’s Landscaping. MI-BOX of Central New Hampshire offers portable self-storage units which can be delivered to home or business locations through an easy, convenient level lift system, allowing for ground-level loading without the need for ramps or steps. MI-BOX system features weather-resistant containers with form fitted aluminum roofs, Dura-Plate walls which are mold and mildew resistant, and galvanized I-Beam floor construction so water won’t come up through the floor. MI-BOX Moving & Mobile Storage delivers portable storage units anywhere in Central, Western and Northern New Hampshire. MI-BOX portable storage units make moving and storage jobs much easier and save time and money. One call to 369-4464 and portable storage units can be delivered to home or business locations. MI-BOX will place it where it’s most convenient, with no need to rent moving trucks as MI-BOX does all the driving. Customers can take all the time they need to load anything to move or store into our portable storage containers. Once it is filled, MI-BOX will pick it up and deliver it to the new home in Central New Hampshire or store it at our self-storage location. For more information about this portable self-storage option, please visit getmibox.net/ or call the local office at 369-4464.